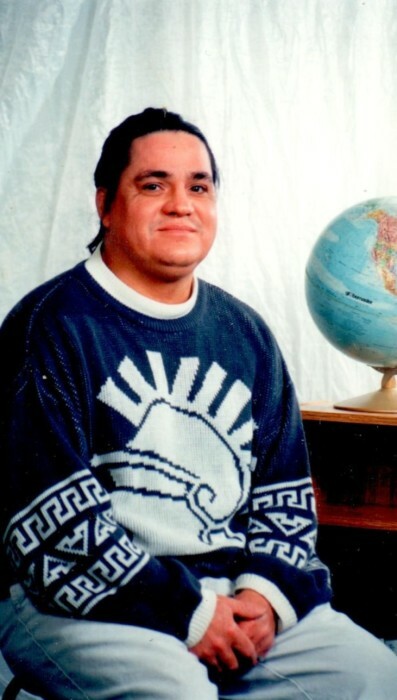 Robert Ahenakew passed away peacefully at home surrounded by his loved ones on April 12, 2019 at the age of 59 years old. He will be remembered by his parents, Clifford and Marie Ahenakew; his siblings, Jean Stonechild, Lois Ahenakew, and Joanne Ahenakew; his adopted son, Dylan Daniels; his god child, Emma Grace Isbister; and numerous nieces, nephews, and cousins. Robert is predeceased by his brother, Bernard Ahenakew; and his grandparents Edward and Annie Ahenakew, and George and Josephine Greyeyes.